Industrial IT is an area where we are seeing increased interest from our customer base. This as control systems and their supporting networks become ever more sophisticated, more critical to plant operations, and more integrated into higher level business systems to aid in business optimization and critical decision making. Because of this growing interest and the rising importance of this electronic infrastructure, we will be doing a series of posts that address the physical structure and integrity of the network, the optimization of the network’s performance, and the security of the network. Data communication cables are the highway your network information travels on, and they are an often overlooked part of the industrial network. 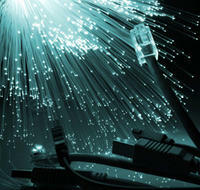 We find many network communication issues to be attributed to poorly installed or improper cabling. It may be using the wrong type of cable for the environment or simply not following recommended standards for installation. As an example, one of our customers was experiencing a loss of network communications to particular devices at random times of the day but almost always between 11 am and 1 pm. Our trouble shooting determined that the cable ran beside a microwave oven in the break room, and when it was running, it created interference that was causing the network to lose communications. Something as simple as an improper cable path can result in the loss of thousands of dollars of production time, plus the cost of troubleshooting and correcting the problem. At a recent presentation to a group of industrial plant managers/operators, the subject of network cabling was discussed, and the question was asked of the group if they had certified the cabling in their plant. Not a single one of the group could state that they had certified their network cabling. So despite the importance of cable integrity to their network performance, they had no idea if the cable had been tested and certified for proper performance. We often see specifications that require pulling and certifying fiber optic cable, but we rarely see requirements stating the CAT5/5e/6 copper cabling be certified. Why certify only one portion of the total data communication highway? All cabling should be pulled, terminated, and tested using the industry standards published for that particular cable. Only then can you be certain that you have a good communication highway for your critical plant data and your expensive network devices to use for optimal data transfer. Part 2 of this series will address network optimization issues.